15/07/16 -- Soycomplex: Soybeans closed lower on the day and for the week. The June NOPA crush report came in 145.05 million bushels versus an average trade guess of 145.418 million, but still the largest June crush on record. Under the daily reporting system, private exporters reported 320,000 MT of US soybeans were sold to unknown destinations for 2016/17 delivery. The hot and dry forecast of the 6-10 day weather outlook is unchanged. China were said to have sold virtually all the 300,400 MT of soybeans they put up for auction yesterday. Aug 16 Soybeans settled at $10.72 1/2, down 11 1/4 cents; Nov 16 Soybeans settled at $10.57 1/4, down 5 cents; Aug 16 Soybean Meal settled at $369.40, down $3.80; Aug 16 Soybean Oil settled at 30.89, up 22 points. For the week Aug 16 beans were down 10 3/4, meal lost $3.90 and oil gained 64 points. Corn: The corn market closed lower on the day and for the week. The USDA's FAS in Ukraine predicts 2016 corn production there at 26.98 MMT versus the USDA's 26.0 MMT estimate. They see 2016/17 Ukraine corn exports at 17.8 MMT (USDA: 17.0 MMT). 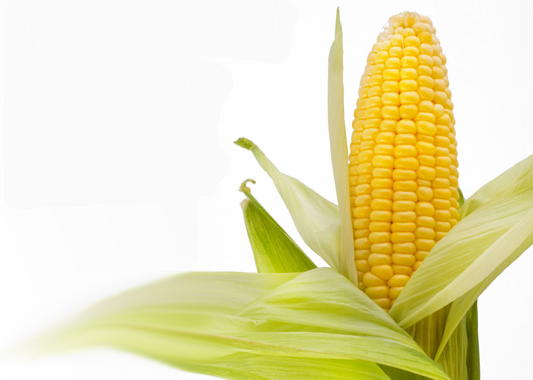 French corn conditions are stable as the crop enters pollination. The Argentine corn harvest is estimated to be 47.5% complete by the Buenos Aires Grain Exchange, slowed by rain. IMEA has corn production in Brazil's Mato Grosso down 22.8% at 22.2 MMT. This could still be optimistic with production in reality down to 17-18 MMT, says Dr Cordonnier. IMEA have 2015/16 Mato Grosso corn ending stocks at just 70,000 MT, just 7-days worth of supply! Sep 16 Corn settled at $3.52 1/4, down 5 1/2 cents; Dec 16 Corn settled at $3.58 1/4, down 6 1/2 cents. For the week Sep 16 was down 2 3/4 cents. Wheat: The wheat market closed lower despite French wheat conditions slumping another 10% G/VG this week for a 22% decline across the last three weeks alone. The Buenos Aires Grain Exchange predicted the Argentine planted wheat area at 4.4 million ha, down 100,000 ha from their previous estimate. The USDA's FAS in Ukraine estimate the 2016 wheat crop there at 24.5 MMT (USDA: 25.0 MMT) and sees exports in 2016/17 at 13.0 MMT (USDA: 12.5 MMT). Egypt released their second wheat tender of the week having purchased Ukraine/Russian material earlier in the week. The results of this tender are expected over the weekend. Algeria bought 400,000 MT of what was said the be German, Polish and Baltic wheat - note no French - in their latest tender. Sep 16 CBOT Wheat settled at $4.24 3/4, down 9 1/4 cents; Sep 16 KCBT Wheat settled at $4.13 3/4, down 4 cents; Dec 16 MGEX Wheat settled at $5.12, down 3 cents. Sep 16 CBOT wheat was down 10 1/4 cents on the week. 15/07/16 -- EU wheat closed little changed on the day. or for the week come to that. At the close Jul 16 London wheat was unchanged at GBP111.75/tonne. Sep 16 Paris wheat closed up one euro at EUR159.50/tonne, Aug 16 corn was unchanged at EUR173.75/tonne and Aug 16 rapeseed was down EUR3.75/tonne at EUR360.50/tonne. For the week London wheat was unchanged, Paris wheat added half a euro, corn gained EUR2.75/tonne and rapeseed firmed EUR8.00/tonne. 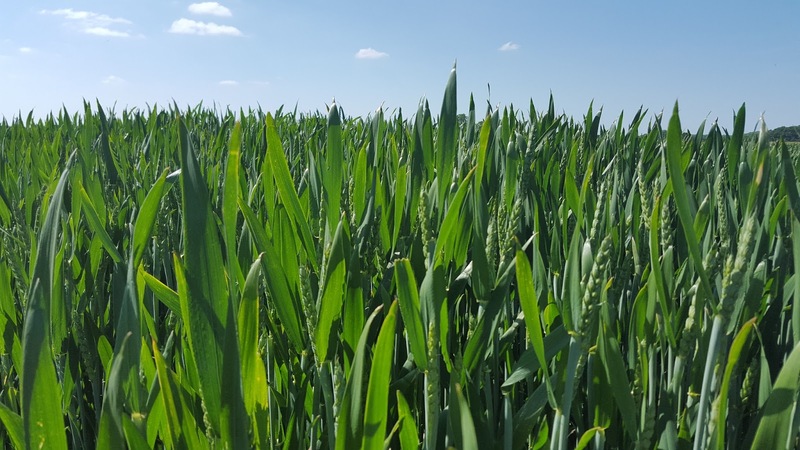 FranceAgriMer slashed French wheat crop conditions again, down by 10 points in the good to very good category with just 49% of the crop now rated there versus 76% a year ago. Crop ratings have now plunged 22 points in the last three weeks and their run for the last eight is an uninspiring -2, -2, -2, -3, -4, -6, -6, -10 for a 35 point decline in 2 months. Winter barley rated good to very good fell 11 points to 44% versus 86% a year ago. Spring barley was down 5 points to 62% (2015: 65%). Corn ratings were unchanged at 69% good to very good (2015: 67%). They said that the soft wheat harvest is 7% complete nationally versus 31% a year ago. Winter barley is 77% against 92% this time last year. French corn at the silking stage is only 3% against 43% this time last year. No wonder then that French wheat wasn't even offered in this week's Egyptian tender, it's looking like a much higher percentage than normal of their crop will only be suitable for feeding this year. Late in the day Egypt tendered for more wheat for Aug 21-30 shipment with the results expected over the weekend. Algeria were said t have bought 400,000 MT of wheat, most likely of German, Polish, Baltic origin. 14/07/16 -- Soycomplex: Beans closed lower. Export sales came in at 364,200 MT for 2015/16 and 547,000 MT for 2016/17. Trade expectations were 400,000 and 600,000 MT on old crop, while new crop sales were estimated to be between 500,000 and 700,000 MT, so these were a touch on the low side. China took 279,600 MT of the old crop and 300,000 MT of the new crop. The monthly NOPA report is due out on tomorrow with the trade expecting NOPA members to have crushed 145.418 million bushels of soybeans in June. Jul 16 Soybeans settled at $11.11 1/2, down 16 1/2 cents; Nov 16 Soybeans settled at $10.62 1/4, down 43 cents; Jul 16 Soybean Meal settled at $381.30, down $7.20; Jul 16 Soybean Oil settled at 31.12, up 47 points. Corn: The market closed lower. Weekly export sales came in at 667,800 MT for 2015/16 and similar for 2016/17. Trade expectations had been for old crop corn sales of around 350,000 and 550,000 MT, and new crop sales to be between 450,000 and 650,000 MT, so these were at the high end of pre-report estimates. The trade is still fixated on a hot and dry spell forecast to start next week. Monday's opening should be interesting depending on weekend weather developments and the latest forecasts on Monday. Talk circulates that Brazil is a spent force on corn sales for the remainder of the season. China's corn crop might be suffering from too much rain it is being mooted. Jul 16 Corn settled at $3.62 1/4, down 3 1/2 cents; Sep 16 Corn settled at $3.57 3/4, down 4 1/4 cents. Wheat: The wheat market ended lower across the three exchanges. Weekly export sales of 317,700 MT for 2016/17 were down 62 percent from the previous week and 53 percent from the prior 4-week average. Exports of 341,300 MT were down 36 percent from the previous week and 32 percent from the prior 4-week average. The primary destinations included a one-off sale to China (63,000 MT). Russian analysts ProZerno said that the country might produce a record 112 MMT of gains this year. A Bloomberg survey estimated Russian wheat exports at a record 27.5 MMT in 2016/17, up 10% from 2015/16. They've been a little slow to get going so far this year as traders sit and wait for the government to make a move on abolishing export taxes. Jul 16 CBOT Wheat settled at $4.21 3/4, down 4 1/2 cents; Jul 16 KCBT Wheat settled at $4.06, down 1 3/4 cents; Sep 16 MGEX Wheat settled at $5.00, down 2 1/2 cents. 14/07/16 -- EU grains finished mostly mixed. The day ended with Jul 16 London unchanged at GBP111.75/tonne, Sep 16 Paris wheat was down EUR3.25/tonne at EUR158.50/tonne, Aug corn was up EUR0.25/tonne lower at EUR173.75/tonne and Aug 16 rapeseed rose EUR2.75/tonne to EUR364.25/tonne. Sterling got a mini-boost from the BoE's decision to leave interest rates unchanged when many had been expecting a cut. Still, the market believes that they are just delaying the inevitable. Russia said that their harvest now stands at 18.2 MMT off 4.3 million ha with an average yield of 4.25 MT/ha, up 14% on a year ago. That total includes 14.1 MMT of wheat and 2.5 MMT of barley. The head of ProZerno told reporters that Russia might harvest 112 MMT of grains this year for a post-Soviet era record. Ukraine said that they'd harvested 10.6 MMT of early grains off 32% if the planned area. That includes 5.615 MMT of wheat and 4.538 MMT of barley. Harvesting of the latter is alread 50% complete. All eyes tomorrow will be on the latest French winter wheat conditions from FranceAgriMer. They've cut good to very good ratings by 6 percentage points in each of the last two weeks. 13/07/16 -- Soycomplex: Soybeans closed higher on continued talk of a hot and dry ridge to enter the Midwest from around Jul 20. Dr Cordonnier said that Brazil's 2015/16 soybean ending stocks could fall as low as 0.45 MMT - less than 1 week's worth of supply. It is therefore crucial that planting for 2016/17 begins bang on time on Sept 15 once the compulsory soybean free period ends in Mato Grosso, he said. Any delay could further impact on old crop tightness and leave the Brazilian S&D picture very finely balanced until the 2017/18 season, he suggested. China imported 7.56 MMT of soybeans in June according to customs data. Trade estimates for tomorrow's weekly export sales report are 400,000 and 600,000 MT on old crop, while new crop sales are estimated to be between 500,000 and 700,000 MT. Jul 16 Soybeans settled at $11.28, up 20 3/4 cents; Nov 16 Soybeans settled at $11.05 1/4, up 18 1/4 cents; Jul 16 Soybean Meal settled at $388.50, up $10.20; Jul 16 Soybean Oil settled at 30.65, down 6 points. Corn: The corn market finished the day with strong gains on a dry and hot 6-10 day forecast. All the weather models continue to show high 90’s to low 100’s degree temperatures for areas of Kansas, Nebraska, Dakotas, Western Iowa up to around July 28th. Right in the middle of corn pollination. "The 6-10 day forecast is ominous for weather stress. Instead of cool temperatures strong heating is predicted ,when a warm ridge of high pressure builds up in the US heartland. The Midwest forecast is drier, as well, especially affecting farms west of the Mississippi Valley," said Martell Crop Projections. US ethanol production reached 1.004 million barrels per day last week, just shy of the all time high and 20,000 bpd up on the previous week. In tomorrow's weekly export sales report the trade is anticipating old crop corn sales of around 350,000 and 550,000 MT, and new crop sales to be between 450,000 and 650,000 MT. Jul 16 Corn settled at $3.65 3/4, up 16 cents; Sep 16 Corn settled at $3.62, up 9 3/4 cents. Wheat: The wheat market closed relatively flat. US markets are struggling to find an inherently bullish story of their own, with the ongoing winter wheat harvest throwing up good yields, and ending stocks running at the highest levels since 1987/88. French crop conditions are dropping like a stone however, down 6 points in the good to very good category in each of the last 2 weeks. French wheat wasn't even offered at yesterday's Egyptian tender, but there were plenty of offers from Russia and Ukraine, with the former seemingly content that the government will have removed the export duty on wheat by then. The 2016 Russian grain harvest currently stands at almost 15 MMT and Ukraine's at just under 8 MMT. Yields are up sharply in both locations. The leading French port of Rouen finished 2015/16 exporting a record volume of grain according to customs data. Jul 16 CBOT Wheat settled at $4.26 1/4, up 2 1/4 cents; Jul 16 KCBT Wheat settled at $4.07 3/4, unchanged; Sep 16 MGEX Wheat settled at $5.02 1/2, unchanged. 13/07/16 -- EU grains closed mostly higher, although Jul 16 London wheat was unchanged at GBP111.75/tonne. Sep 16 Paris wheat traded up EUR0.75/tonne at EUR161.75/tonne, Aug corn was EUR2.25/tonne firmer at EUR173.50/tonne and Aug 16 Paris rapeseed was EUR6.75/tonne higher at EUR361.50/tonne. UK customs data shows that we shipped out 348 TMT of wheat in May, along with a further 172 TMT worth of barley. Cumulative season to date totals are now 2.57 MMT for wheat and 1.89 MMT for barley. Those figures are just shy of Defra's estimates for the full Jul/Jun season at 2.75 MMT and 1.90 MMT respectively. "The UK’s strong May export performance was likely assisted by the growing discount for UK feed wheat versus maize in the month. This discount continued to grow in June, lending further support to UK export competitiveness," said the HGCA. The size of this discount will obviously alter according to currency fluctuations, and once new crop corn becomes available a few months from now. French exports also remain strong, with the leading grain hub of Rouen exporting a record 8.83 MMT of grains in 2015/16. That total included 6.43 MMT of wheat and 2.37 MMT of barley. Top home was Algeria (3.5 MMT) followed by (2.1 MMT) then Egypt and China (1.2 MMT each). The 2015 Russian grain harvest has now reached the 14.9 MT mark, of which 10.8 MMT is wheat and 2.3 MMT barley. The Ukraine harvest now stands at 7.9 MMT, and the Kazakh harvest at 0.3 MMT. 12/07/16 -- Soycomplex: Soybeans closed with strong gains as the USDA lowered old crop ending stocks to 350 million bu in its monthly report. New crop production was estimated at 3.880 billion bu with the the same 46.7 bu/acre yield figure from June. US ending stocks for 2016/17 are now projected to be 290 million bu, up 30 million from June, but 5 million below the average trade guess. "Prospects for U.S. soybean exports have brightened considerably since January as strong global demand, accompanied by shortfalls in projected South American production, is expected to boost both the quantity and value of U.S. exports," they said. There were no changes to production in South America or imports from China. Jul 16 Soybeans settled at $11.07 1/4, up 24 1/2 cents; Nov 16 Soybeans settled at $10.87, up 32 cents; Jul 16 Soybean Meal settled at $378.30, up $4.60; Jul 16 Soybean Oil settled at 30.71, up 46 points. Corn: The corn market closed around 4-6 cents higher. Beginning stocks for 2016/17 were lowered 7 million bu whereas the trade was looking for a 100 million bu increase. The new crop US production estimate came out at 14.540 billion bu, 17 million larger than the average trade guess. US 2016/17 ending stocks were only up 73 million bu from the June report whereas the average trade guess was for a 205 million bu increase. Brazil's 2015/16 crop was cut 7.5 MMT (the smallest crop in 5 years) and 2 MMT taken of production in 2016/17 as well. Dr Cordonnier said that domestic corn prices in Brazil are running at around $6/bu and rising due to the sharply lower safrinha corn crop. And the safrinha corn crop is the one that they mostly export. Thus exports this season could fall to 20 MMT versus 30.5 MMT last year, and corn supplies in Brazil could remain tight until the 2017/18 season. Jul 16 Corn settled at $3.49 3/4, up 6 cents; Sep 16 Corn settled at $3.52 1/4, up 4 cents. Wheat: The wheat market closed higher across the three exchanges in sympathy with corn and beans. The USDA had all wheat production at 2.261 billion bu, 97 million larger than the average trade guess. "Global wheat production is projected at a record high, outpacing consumption for the fourth consecutive year. This trend is leading to the highest exporter ending stocks since 2010/11, which is overburdening the market and pressuring price," they said. "In the United States, stocks are projected at their highest since 1987/88 and account for 41 percent of the exporter total in 2016/17," they added. Russia and Ukraine got a 1 MMT production increase, Argentina, Australia and Canada were all increased by 0.5 MMT. The EU was lowered 1 MMT to 156.5 MMT. The bottom line for the global balance sheet was a production increase of nearly 8 MMT, but a sharp increase in consumption (up more than 13 MMT), lowered ending stocks by more than 4 MMT. Jul 16 CBOT Wheat settled at $4.24, up 7 3/4 cents; Jul 16 KCBT Wheat settled at $4.07 3/4, up 6 3/4 cents; Sep 16 MGEX Wheat settled at $5.02 1/2, up 2 3/4 cents. 12/07/16 -- EU grains finished the day mostly with little change. Lower production estimates in Europe are outweighed by improved prospects in the FSU. At the close Jul 16 London wheat was unchanged at GBP111.75/tonne. Sep 16 Paris wheat closed also unchanged at EUR161.00/tonne, Aug 16 corn was down EUR0.50/tonne at EUR171.25/tonne and Aug 16 rapeseed was up EUR0.50/tonne at EUR354.75/tonne. Ukraine said that it's early grain harvest was 19% complete on 1.75 million ha producing a crop of 6.08 MMT to date. Yields are up 12.7% at 3.47 MT/ha. That total includes 2.52 MMT of wheat (3.67 MT/ha) and 3.32 MMT of barley (3.36 MT/ha). In addition growers there have harvested 249 TMT of rapeseed off 102k ha with an average yield of 2.44 MT/ha. The Ukraine Oilseeds Association estimated sunflower production there at 12-13 MMT, am 8-17% increase on 11.1 MMT a year ago. UkrAgroConsult yesterday said that oilseed crops there are in good condition following recent rains. SovEcon raised their forecast for the Russian wheat crop to 66.1 MMT from 64.4 MMT previously. IKAR yesterday reported that Russian wheat prices were at 7-year lows following good early yield results and a sudden strengthening of the rouble. Russian exports have been slow to get going so far, despite good new crop harvest progress. Perhaps low domestic prices and trader speculation that the government will abolish the current export duty on wheat at the end of the month. Egypt tendered for wheat for Aug 10-20 shipment in their first foray into new crop. They finished up buying two cargoes of Russian wheat and one of Ukraine origin. No French wheat was offered. The prices paid were in the region of $172-173.50/tonne FOB. The French Ministry pegged 2016 wheat yields there at only 7.07 MT/ha versus 7.98 MT/ha a year ago. They see production at 36.95 MMT, a near 10% drop on a year ago following rainfall 38% above normal levels. ODA went even lower, cutting last week's 35 MMT estimate to just 32 MMT, a nine year low. 11/07/16 -- Soycomplex: Beans closed lower heading into tomorrow's WASDE report, with fund money maybe continuing to ditch some length. Weekly export inspections of 374,016 MT were double last week's total. The USDA raised good to excellent crop conditions one point to 71% (62% a year ago). They said that 7% of the crop is setting pods (5% on average) and that 40% of the crop is blooming (31% on average). US soybean production is expected to be 3.876 billion bushels in tomorrow’s WASDE report, with 2016/17 carryout of 295 million bu. The EU Commission cut their forecast for the EU-28 OSR crop to 20.8 MMT from 22.0 MMT previously. 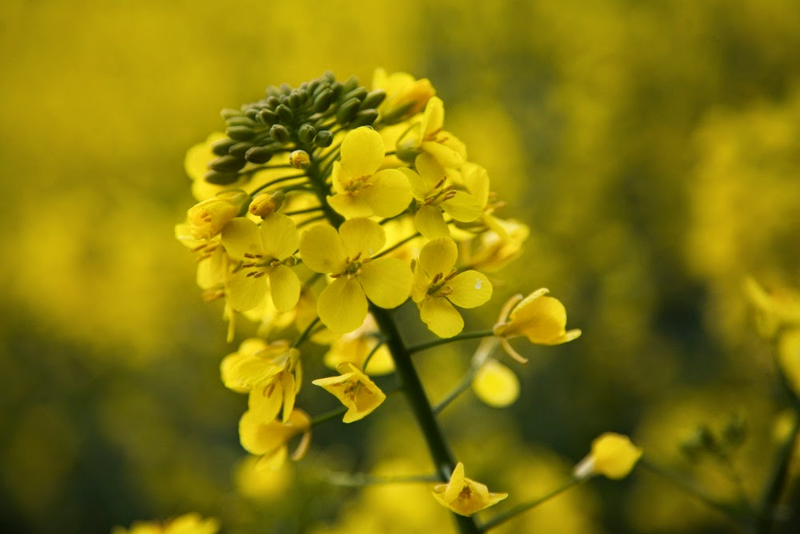 UkrAgroConsult said that oilseed crops in Ukraine were doing well. Jul 16 Soybeans settled at $10.82 3/4, down 7 cents; Nov 16 Soybeans settled at $10.55, down 2 3/4 cents; Jul 16 Soybean Meal settled at $373.70, down $5.00; Jul 16 Soybean Oil settled at 30.25, down 2 points. Corn: The market closed with fairly sizable losses. Weekly export inspections came in at 1.358 MMT. The USDA said that 32% of this year's corn crop is pollinating against 26% fore the 5-year average. They placed good to excellent crop conditions at 76%, up one point. The EU Commission cut the size of the EU-28 corn crop from 65.8 MMT to 65.2 MMT. Ukraine seaports chipped 90,100 MT of corn last week, said APK Inform. Russian seaports shipped zero. Trade estimates for tomorrow's WASDE report say that 2016 US corn production will be 14.523 billion bushels, with 2016/17 ending stocks of 2.213 billion bu. The long-term forecast still points to much above normal temperatures for most of the corn belt combined with normal to below normal rainfall. It's unlikely therefore that we've seen the end of this weather market just yet. Jul 16 Corn settled at $3.43 3/4, down 6 cents; Sep 16 Corn settled at $3.48 1/4, down 6 3/4 cents. Wheat: The wheat market ended lower. Weekly export inspections of 375,279 MT were down 34% on last week but 38% higher than the same week in 2015. The USDA put the 2016 US winter wheat harvest at 66% complete, one point ahead of the 5-year average.Spring wheat conditions were trimmed 2 points to 70% good to excellent. Spring wheat headed was 91% against only 64% on average. The EU Commission cut their forecast for the EU-28 soft wheat crop from 145.1 MMT to 144.6 MMT. Rapidly deteriorating French crop conditions remain a worry there. Ukraine seaports shipped out 159,900 MT of wheat last week and Russian seaports a further 57,100 MT, said APK Inform. IKAR said that Russian wheat prices were at 7-year lows following good early yield results and a sudden strengthening of the rouble. US wheat production is expected to be 2.164 billion bushels in the monthly WASDE report tomorrow, up from the previous USDA forecast of 2.077 billion bu. Jul 16 CBOT Wheat settled at $4.16 1/4, down 4 1/2 cents; Jul 16 KCBT Wheat settled at $4.01, down 4 1/4 cents; Sep 16 MGEX Wheat settled at $4.99 3/4, down 1 1/4 cents. 11/07/16 -- EU grains finished mostly steadier, but off session highs. London wheat got support from continued sterling weakness in wake of the Brexit vote and subsequent political disarray. The day ended with Jul 16 London unchanged at GBP111.75/tonne, Sep 16 Paris wheat was up EUR2.00/tonne at EUR161.00/tonne, Aug corn was up EUR0.75/tonne lower at EUR171.75/tonne and Aug 16 rapeseed rose EUR1.75/tonne to EUR354.25/tonne. The EU Commission cut their forecast for the EU-28 soft wheat crop from 145.1 MMT To 144.6 MMT. They also reduced the size of this year's corn crop from 65.8 MMT To 65.2 MMT and lowered the outlook on OSR from 22.0 MMT To 20.8 MMT. 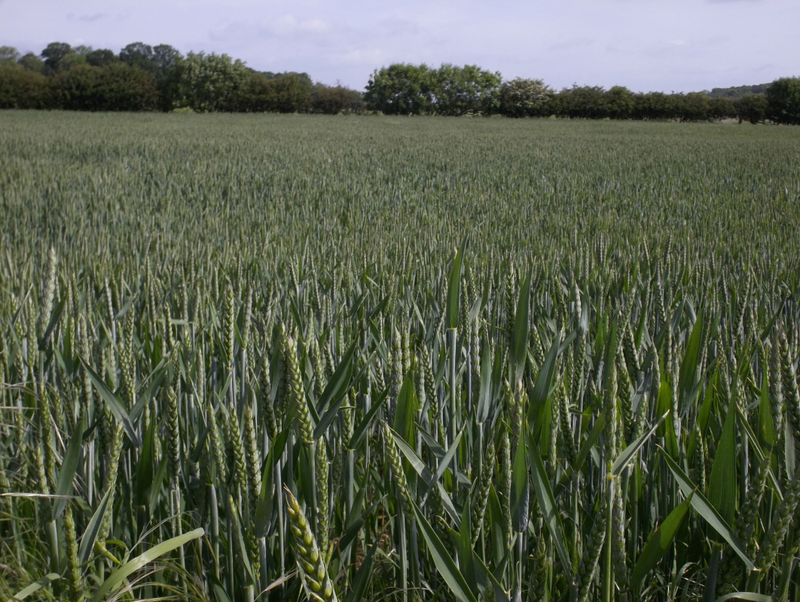 The HGCA estimated the English wheat area for the 2016 harvest down 2% at 1.66 million ha and the lowest since 2013. 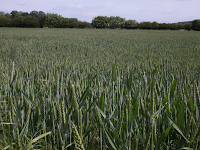 The decrease comes courtesy of low prices and an effort to control blackgrass. Spring barley plantings are seen 6% higher at 682k ha. In contrast Scottish growers planted the largest wheat area since 2011 at 114k ha. Jordan announced a tender for 100,000 MT of option origin milling wheat. Algeria tendered for a minimum of 50,000 MT of similar. UkrAgroConsult said that oilseed crops in Ukraine were in good condition under "hot-house" type conditions with good rains mixed with temperatures 5-7C above normal. APK Inform said that Ukraine seaports shipped out 450,600 MT of grain last week, including 159,900 MT of wheat, 90,100 MT of corn and 200,600 MT of barley. The top home was Saudi Arabia (127,100 MT) followed by Indonesia (102,400 MT). They said that Russian shipments were still slack at 142,000 MT, of which 57,100 MT was wheat and 82,100 MT was barley. Saudi Arabia was their top home too taking 66,000 MT. The Russian harvest now stands at 13.8 MMT off 3.2 million ha. Wheat accounts for 9.8 MMT of that off 2.2 million ha and barley a further 2.3 MMT off 562k ha. The fact that Russian exports are still sluggish is interesting and might suggest that sellers there are waiting for the government to remove the export duty on wheat before committing to new sales. Government Ministers are expected to meet to discuss the issue at the end of the month. 08/07/16 -- Soycomplex: Soybeans closed sharply higher on the day, consolidating some of the week's losses ahead of the weekend. Nevertheless the complex still showed significant declines for the week. Weekly export sales came in at 1.223 MMT, which was towards the top end of trade estimates. The USDA reported 35,000 MT of US soy oil sold to China this morning for 2015/16 delivery under the daily reporting system. A warmer forecast from the middle of the month onwards added a bit of risk premium back into the market today. Jul 16 Soybeans settled at $10.89 3/4, up 35 1/2 cents; Nov 16 Soybeans settled at $10.57 3/4, up 33 cents; Jul 16 Soybean Meal settled at $378.70, up $8.70; Jul 16 Soybean Oil settled at 30.27, up 54 points. For the week nearby beans were down 79 cents, meal fell $26.10 and oil was down 76 points. Corn: The corn market posted decent gains, but still ended with small losses for the week. A hot and dry forecast for the second half of the month encouraged some buying today. Weekly export sales of 812,995 MT were at the lower end of trade forecasts. The Buenos Aires Grain Exchange said that the Argentine corn harvest was 44.6% complete at 13.5 MMT. The weak peso seems to be discouraging farmers there from selling at the moment. FCStone cut their estimate for the size of the Brazilian second corn crop by 2.1 MMT to 47.3 MMT. They now see the total Brazilian corn crop at 74 MMT versus 76.64 MMT previously. Brussels approved 156 TMT of EU corn import licences in the first week of 2016/17. Jul 16 Corn settled at $3.49 3/4, up 14 1/4 cents; Sep 16 Corn settled at $3.55, up 13 1/4 cents. For the week Jul 16 was 3 1/4 cents lower. Wheat: The wheat market closed firmer. Weekly export sales of 825,325 MT topped pre-report estimates. FranceAgriMer cut French winter wheat ratings by 6 points for the second week running. Taiwan bought 106,290 MT of US milling wheat for Aug/Sep shipment. The Buenos Aires Grain Exchange said that Argentine winter wheat planting is 72% complete of the planned 4.5 million ha versus 81% done on the planned 3.6 million ha a year ago. Weekly export licence releases by Brussels were only a fraction of what they were 12 months ago in the first week of the new marketing year - soft wheat at 209 TMT down 55% and barley at 193 TMT down 53%. Russia's new crop wheat harvest stands at 6.4 MMT so far and Ukraine's at 1.61 MMT. The US winter wheat harvest is ongoing and should be reported at around 75% complete by the USDA on Monday night. Yields are said to be very good in general. Jul 16 CBOT Wheat settled at $4.20 3/4, up 8 3/4 cents; Jul 16 KCBT Wheat settled at $4.05 1/4, up 8 3/4 cents; Sep 16 MGEX Wheat settled at $5.01, up 5 3/4 cents. For the week CBOT wheat was up 4 1/2 cents.